Disney has launched two new VIP Tour Experiences at Walt Disney World offering a 7 hour VIP day for guests wanting to experience a number of attractions geared towards their interests. They will be know as The Ultimate Day for Young Families and The Ultimate Day of Thrills. The Ultimate Day for Young Families – Walt Disney World VIP Tour Experience is designed for families with children under 10 years of ages. After departing the Magic Kingdom, tour guests will enjoy a table service lunch at Whispering Canyon Cafe at Disney's Wilderness Lodge Resort. Following lunch, it is on to Disney’s Hollywood Studios to see Disney Junior Live on Stage and a ride on Toy Story Mania! The day finishes with a trip to Disney’s Animal Kingdom to see the Festival of the Lion King show and a ride on Kilimanjaro Safaris. Pricing: $299 plus tax per guest ages 3+. Reservations can be made up to 180 days in advance at 407-WDW-TOUR. The Ultimate Day for Young Families - Walt Disney World VIP Tour Experience is held on Sundays, Tuesdays and Fridays, beginning at 8:15am. · Check in is at the Tomorrowland Terrace Restaurant. · Check in is 15 minutes before the start. 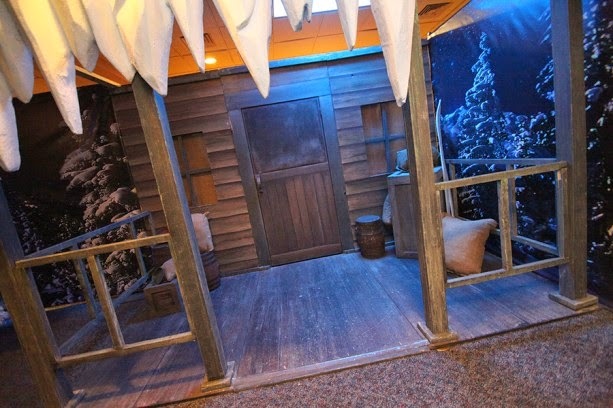 · Guests under 18 must be accompanied by a participating adult. · ECVs are not permitted. · Photography is restricted in backstage areas. · Tour is primarily a walking tour. · Park admission tickets are required. The Ultimate Day of Thrills – Walt Disney World VIP Tour Experience is designed for thrill seekers. · After departing the Magic Kingdom, tour guests will enjoy a table service lunch at Whispering Canyon Cafe at Disney's Wilderness Lodge Resort. Following lunch, it is on to Disney’s Hollywood Studios to ride on Toy Story Mania!, Rock n Roller Coaster, Tower of Terror and Star Tours. The day finishes with a trip to Disney’s Animal Kingdom to ride Expedition Everest and Dinosaur! · Minimum height of 48". Disney has announced it will be offering a premium package as part of the 'Frozen Summer Fun - Live at Disney's Hollywood Studios' this summer, from July 5 to September 1 2014. Similar to the premium packages that were sold as part of the recent Star Wars Weekends, the 'Frozen Summer Fun' Premium Package will provide a reserved viewing area for Anna and Elsa's Royal Welcome procession, reserved seating for a showing of 'For the First Time In Forever: A Frozen Sing-Along Celebration' show, and a dessert party viewing of the 'Frozen' Fireworks Spectacular. The reserved viewing for Anna and Elsa's Royal Welcome procession takes place from 10:30 AM to 11:30 AM, with refreshments included. Check in is at Min and Bill's Dockside Diner at 10:30 AM. At check in for the procession, guests will also be able to select which performance of 'For The First Time in Forever: A Frozen Sing-Along Celebration' they wish to see. Availability is on a first come, first served basis. The 'Frozen' Fireworks Spectacular dessert party takes place from 8:30 PM to 10 PM, with the fireworks beginning at 9:45 PM. Alcohol is included as part of the package. The cost for the premium package is $59 for adults, and $34 for children, including tax. No discounts are available, and theme park admission is required. Reservations can be made by calling 407-939-1939. Guests will be allowed to skate on the ice rink at Oaken’s Frozen Funland, part of 'Frozen Summer Fun - Live at Disney's Hollywood Studios' event, Disney has now released pricing details. The cost is $10 per person, per 30 minutes, which includes the use of ice skates, socks and a helmet. Guests are also allowed to bring in their own equipment to use. The rink will be open in Soundstage 1 from park opening to 8:00 PM daily through the event. Skating is available on a first come, first served basis. Waivers for all guests are required and minors must have an adult/responsible party age 18 or older present to sign for them. 'Frozen Summer Fun - Live at Disney's Hollywood Studios' begins on July 5 and takes place daily through until September 1 2014. 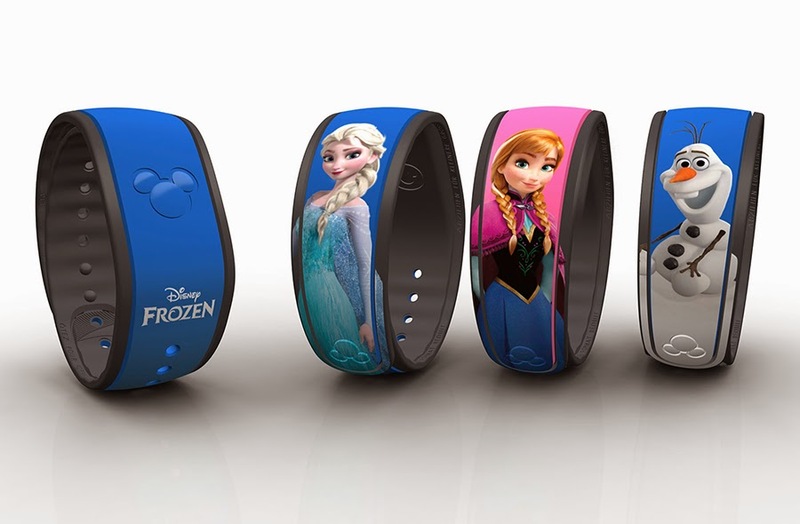 Disney has also announced that three retail 'Frozen' themed MagicBands will be on sale at Disney's Hollywood Studios next week. Part of the 'Frozen' Summer Fun - LIVE at Disney's Hollywood Studios event taking place this summer, the bands will feature printed images of Elsa, Anna and Olaf. The 'Frozen' MagicBands are the second themed bands to be available, following the limited edition Star Wars Weekends bands sold at the Studios earlier this year. Unlike the Star Wars bands, the 'Frozen' MagicBands are open edition, but will only be available for puchase in the park, and not online or via Merchandise Guest Services. As with all MagicBands, valid park admission must be presented at the time of purchase to allow for linking the band to your My Disney Experience account. Pricing was not released, but the Star Wars MagicBands were sold at $29.95 + tax. A regular plain colored MagicBand retails at $12.95 + tax. Starting July 11 2014, a new backstage experience will be offered for La Nouba by Cirque du Soleil at Downtown Disney. · Pricing is $250 + tax for adults, and $215 + tax for ages 9 and under. The package will be offered for the 6:00 PM show on Fridays and Saturdays, starting July 11 2014. Tickets can be purchased from the Cirque du Soleil Box Office at Downtown Disney, or from Disney at 407-W-DISNEY. Starting July 27 2014, PhotoPass print packages and table-side sales will be discontinued at Walt Disney World restaurants. The change will take place at Chef Mickey's, 1900 Park Fare, 'Ohana, Hoop-Dee-Doo Musical Revue, Disney's Spirit of Aloha Dinner Show, and Tusker House Restaurant. Cinderella’s Royal Table and Akershus will continue to offer the print packages until January 4 2015, after which it will be no longer offered. From January 5, the inclusive photo package option will be discontinued. Following the discontinuation of the print packages, guests will be able to use the My Disney Experience app and website to view photos taken by PhotoPass photographers at restaurants. The Garden View Tea Room at Disney's Grand Floridian is closing to begin a near 8 week refurbishment. The scheduled closure dates are June 30 through to August 29 2014. During the closure, the My Disney Girl's Perfectly Princess Tea Party will be relocated to Citricos restaurant at Disney's Grand Floridian Resort. The preliminary celebrity narrator line-up for the is beginning to take shape, with some first timers joining returning favorites at Epcot's signature Holidays Around the World event. The minimum age restriction for children traveling unaccompanied on Disney's Magical Express has been reduced. Following the policies of most airlines, the minimum age is now 12, reduced from the previous restriction of 16 years of age.